The Trust’s overall vision is that by 2023 a series of co-ordinated developments will allow our immersive stories to be told in such a way that visitors will have a worthwhile visitor experience which will leave them wanting to return and encourage friends and family to visit. The aim is to create a premier attraction in Warwickshire, elevating Middleton Hall to a site of significant regional and national importance. The aim of the Master-plan is to create a development route-map to deliver our strategic ‘vision’ via a joined-up use of the entire site, that will provide the context for projects to repair and create a new use for those parts of the site not yet restored. The Master-plan should ensure that the visitor offer at Middleton Hall is the key element in the wider context of the site development, such that visitors understand the identity and ‘brand’ of the site even though parts of the Hall and wider estate may be used for purposes beyond the visitor experience. The Master-plan will underpin future fundraising and will define the organisational structure required to most effectively deliver the vision. 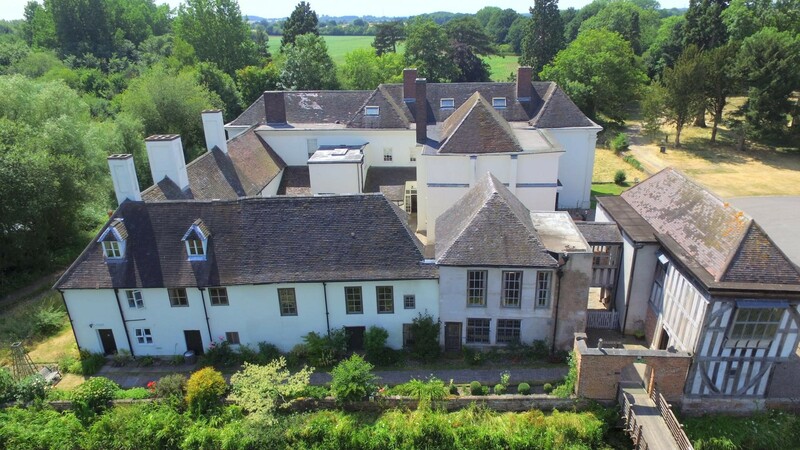 In March 2019 , Middleton Hall Trust has received a National Lottery grant of £135,500 for an exciting heritage project, the Master-plan for Middleton Hall & Gardens. Made possible by money raised by National Lottery players, the project focuses on developing a plan for the final stage of the restoration of the site and improvements to the way we share our stories with our visitors. We have received match funding of £25,000 from The Architectural Heritage Fund who promote the conservation and sustainable re-use of historic buildings for the benefit of communities across the UK. Supported through the National Lottery Heritage Fund and The Architectural Heritage Fund, the project will enable us to establish the best way to restore our Tudor Barn, a Grade II* building on the buildings at risk register, in a way that is beneficial to our local community. Our Master-plan will be the first stage in being able to achieve our restoration goal whilst finding out exactly what our visitors and local community need and want when they visit our historical site. But also how we can offer training opportunities to our existing and any new volunteers that want to get involved with the conservation of our built and natural heritage.